More than 10 million students are participating in an annual challenge that encourages each student to read 50 books in different genres. The Arab Reading Challenge (ARC) was launched by His Highness Sheikh Mohammed bin Rashid Al Maktoum, Vice-President and Prime Minister of the UAE and Ruler of Dubai, in 2015 with an aim to get one million Arab students to read 50 million books. In its third edition, the challenge has seen a significant increase in the number of participants since last 2017, which had seen six million students taking part in the initiative. Taking the competition to a global scale, this year students come from 44 Arab and non-Arab countries compared to last year's participation of students from 30 countries. 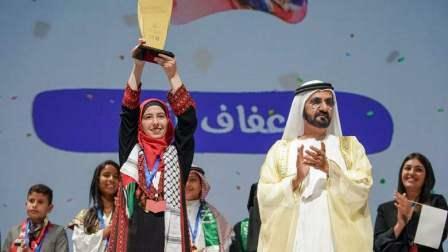 There are 350,000 students taking part from the UAE and the winner will be announced within two weeks, who will then face the winners from the other countries in a grand ceremony in October. Rania, an Emirati student in grade 11 at the Zabeel School, said "So many people are reading more because of this amazing challenge. It's my second year participating in this challenge so now I'm reading not because I'm forced to but because it is my new way of gaining more information. "Reading is also helping me in my studies. The way I talk with people and discuss various topics has also improved due to my reading. Now, I have read hundreds of books and it's caused a huge improvement in my personality and level of knowledge." A student at the Rashidiya Secondary School, Nasir Jaber, said that reading for him is "very important" to his life and education. He has read books in various genres for the challenge, including fantasies, poems and history. "I read a lot of books on Emirati history, fantasies and poems. My favourite book was one by Hamdan Mohammed and it contains a lot of fantasy stories. I hope to win the challenge and I want to be the best not just in the UAE but in the whole Arab world. I read the books whenever I could and I always carried them in my pocket," he said. Students were required to read the books and create a passport, where they summarise every book they read. They were judged on the quality of their passport, understanding of the book and how they can explain it verbally, among other criteria.Speaking to Khaleej Times, Abdullah Al Nuaimi, project manager of the ARC, said: "We have seen a huge improvement in the quality of reading from the students - in terms of the books they choose to read, the number of pages and the topics they chose to write on. They are even more creative in giving the answer. We are currently in the last phase of the ARC, whether in the UAE or in all countries. We are in the phase of the final qualifications of the UAE participants. Now in the UAE, we are doing the final qualifications."